1. 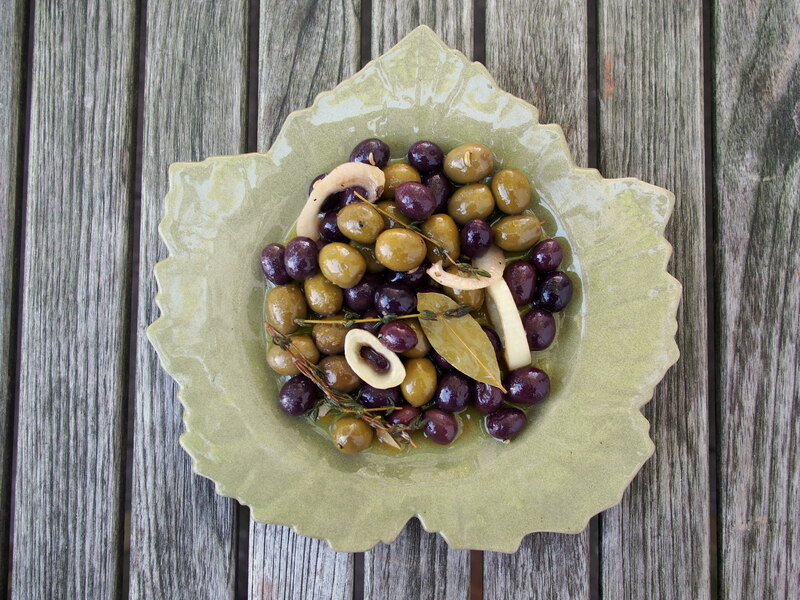 In two saucepans of boiling water blanch the green olives and the black olives separately for one minute each and drain them in two sieves. 2. 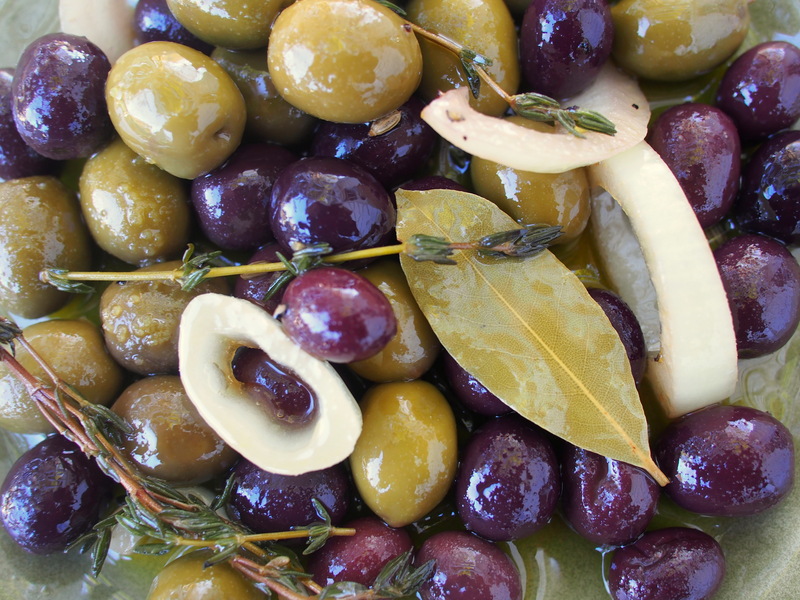 Divide the onions between two 1-quart glass jars with tight-fitting lids, pack the green and black olives separately into the jars while they are still warm, and divide the vinegar, the bay leaves, the thyme, the fennel seeds and the pepper between the jars, pushing the thyme into the mixture. 3. Divide the oil between the jars, seal the jars with the lids and let them stand in a dark, cool place, shaking them daily, for 3 days. The olives keep, covered, indefinitely.